Markus Säufferer, Certified Prosthetist, has been serving amputees from Campell River to Cobble Hill for the past 13 years. Now in a new office, Markus is able to offer his clients an individualized approach to designing and making a prosthesis. 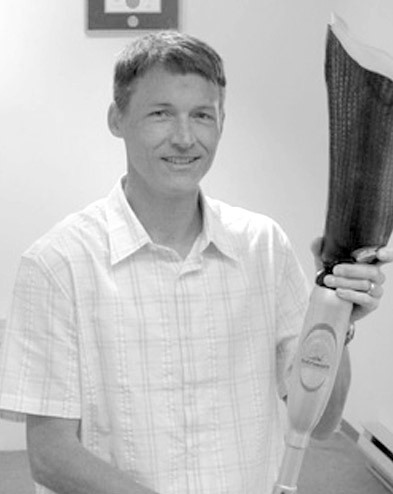 As an expert in technologically advanced prosthetic designs, Markus can offer his clients access to myoelectric limbs, computer controlled knees and ankles and elevated vacuum suspension systems. 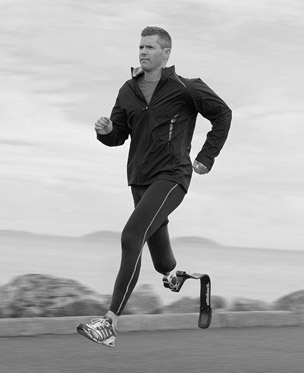 In fact, Markus has always been one of the first in his field to embrace elevated vacuum designs for trans-femoral fittings, sleeveless suction sockets, height adjustable feet and microprocessor controlled knees. Upon completing his degree in Kinesiology, Markus discovered that clinical prosthetics was a perfect complement to his artistic hand skills and his understanding on human movement science. He has built his client base on a thorough understanding of each individual’s personal challenges and a dedication to whatever it takes to find a solution.